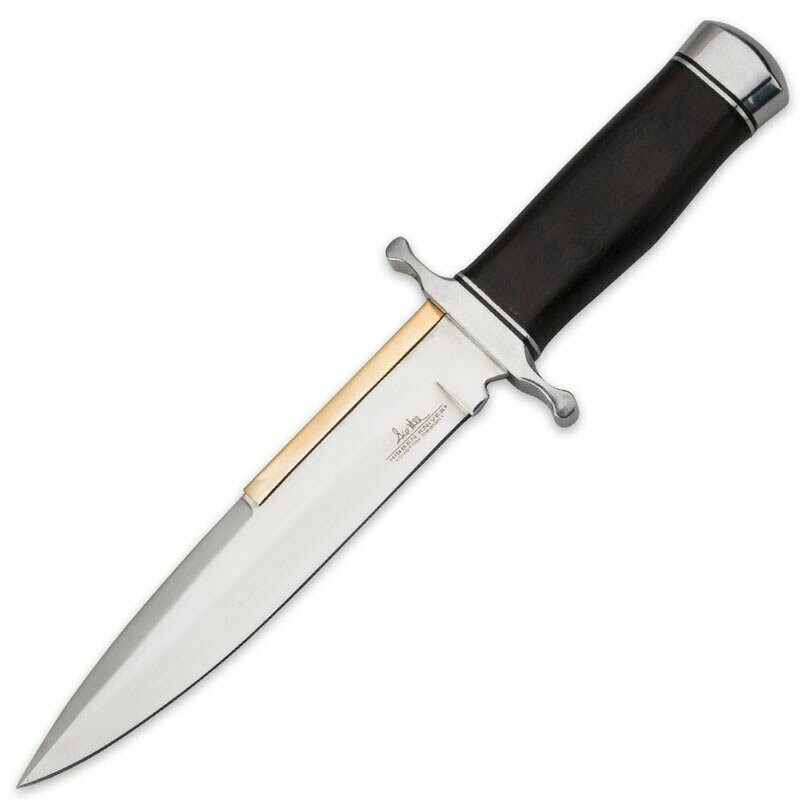 Gil Hibben Old West Fixed Blade Boot Knife(GH5047) Gil Hibben knives, collectible knives, throwing knives, hunting knives. Gil Hibben reinterprets his famous Old West knife in the form of this brand new Hibben Old West Boot Knife. This fixed blade knife features a 6-1/2" high-polished 7Cr13 stainless steel blade with a brass spine plate. The attractive hardwood handle provides an elegant finish with an Old West feel.